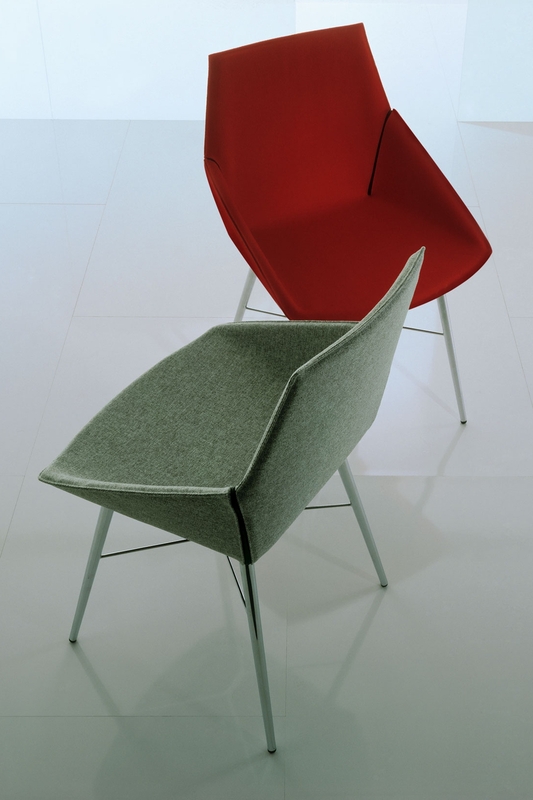 Seltz is a chair with thermo folded structure, completely coated with fabric, felt or leather. 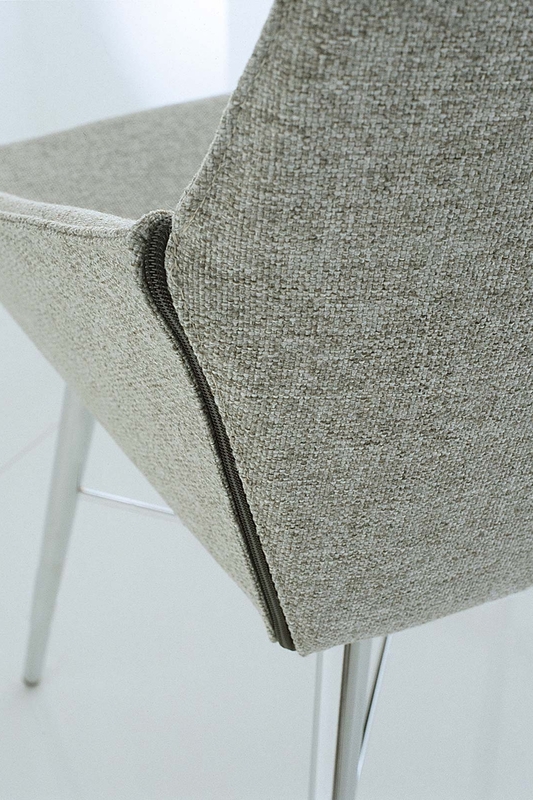 The zip characterizes the design of the chair, allowing a continuous cloth with limited seams, easy to unline. 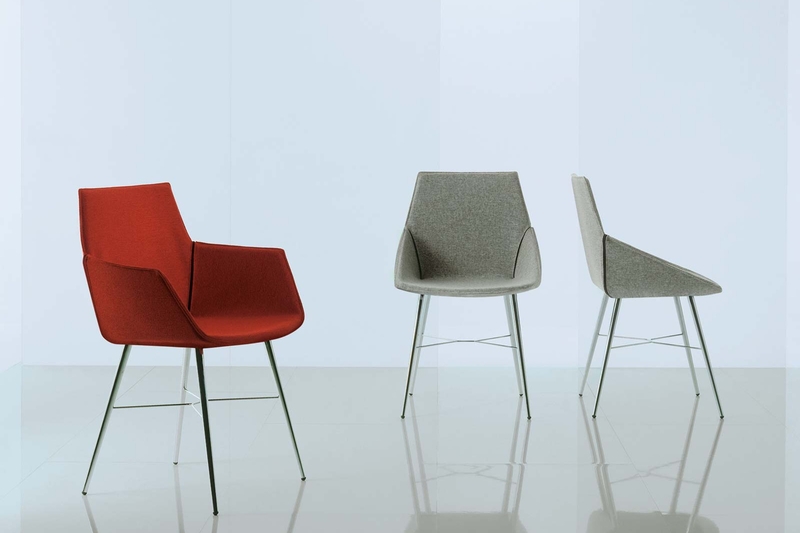 Particularly light, flexible and comfortable, the chair is available in two versions, with or without armrests. Base with chromium plated metal tube. BODY: Thermoformed high strength sheet material with steel inserts. UPHOLSTERY: Leather or fabric exterior in various combinations, fully detachable. 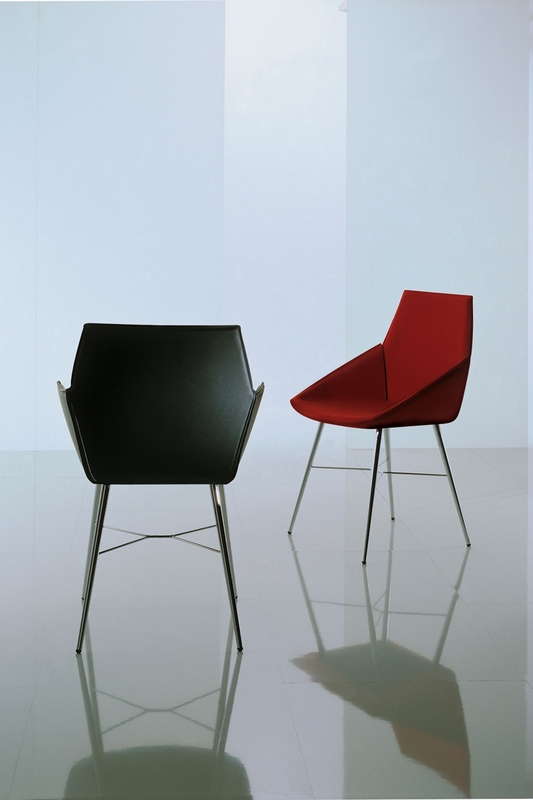 STRUCTURE: Chrome-plated tubular steel with plastic non-slip feet.